With nearly seven billion mobile subscribers around the world, businesses need to make sure they have a proper mobile strategy in place. Today’s consumer is mobile and always on-the-go. They want to connect with brands from any location and find information about a product from their smartphone. However, if a business doesn’t give people the opportunity to interact with their brand through the mobile web, they’re missing out on a huge opportunity to build a relationship with their customers. Mobile design is essential for the success of any modern business. If businesses want to expand their target audience and reach more customers, they’ll need to create a mobile website. This website will make it easier for people to access information about a business and find product information. Plus, customers will be more likely to make a purchase directly from their mobile device, too. When creating a mobile device, there are a few elements to keep in mind. First, it’s important to create a mobile website that’s responsive. This simply means the mobile website can be accessed from any mobile device such as a tablet or smartphone. Additionally, it’s important to use high quality images and provide adequate information on your website. This will improve the overall user experience for your customers. Mobile design doesn’t have to be complicated. There are a number of tools and resources available to help you create mobile website. Tool such as Sketch or LiveView can help you create mobile elements for your website. By using these tools, you’ll be able to create a beautiful mobile design for your business’ website. Ivan Serrano is a social media, marketing and business journalist living in the Bay Area of California. It may seem strange for a Web development company to provide guidelines for how its customers can spend less with us, but really it’s not from our perspective. 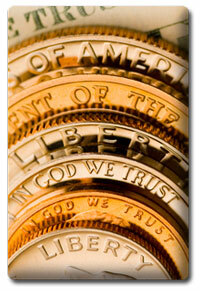 We believe applying the golden rule not only benefits our customers but also us in the long run. We might make less money in the short term, but we gain the more valuable benefits of building trust with our clients and playing a small part to ensure their long-term success. Such clients will spend more with us over time and become invaluable sources of quality referrals which is how a vast majority of our new business come to us. Like almost all Web development and design firms, we have a minimum charge for any task of one hour . This is due to the fact that to switch to a new client’s project, for even a small amount of work, compromises the efficiency of our day’s work flow and imposes an opportunity cost. We have to transition from another project, retool, login to appropriate accounts, backup data before changes, post changes, often test the changes (for example in different browsers) then communicate back to the client regarding the work. The key for clients to realize is that once we have initiated a change request, the incremental cost is much lower for us doing other small changes while we’re already working within a client’s account. For example take a client who sends over three Website content change requests during a week. Each change may take 10 minutes of actual coding, but if they send those requests at three different times they would get billed 3 hours. If they save those requests and send them all at once they would only get billed for 1 hour or 66% less. This strategy of course has the most dramatic effect for small changes that are not extremely urgent, and can most commonly be applied for changes for Website content. So if you find yourself with numerous small changes throughout the month, simply try holding them in an Outlook folder or whatever and sending them in groups. We offer prepaid hours with a 15% discount off our standard rates. There is no minimum quantity, you can use them immediately, they never expire and unused hours are 100% refundable. You can also track your prepaid balance real-time through our online client portal. For any client who regularly gets at least twenty hours of service from us a month you will save a significant amount of money through our flat-rate retainer. Not only do you receive a substantial discount on the number of hours in your plan, you are also entitled to a discount on additional hours each month if you should need them. Flat-rate retainers are paid in advance of each month. Additional hours are billed at a discounted rate of your hourly retainer rate + 20% and payable net 15. Unused hours in flat rate plans are not refundable nor carried over to the next month. Retainers automatically renew but can be canceled at any time. If you have any questions or would like us to personally review your ongoing service needs and provide recommendations please feel free to contact us by phone at 208.475.3192 or through our online contact form.